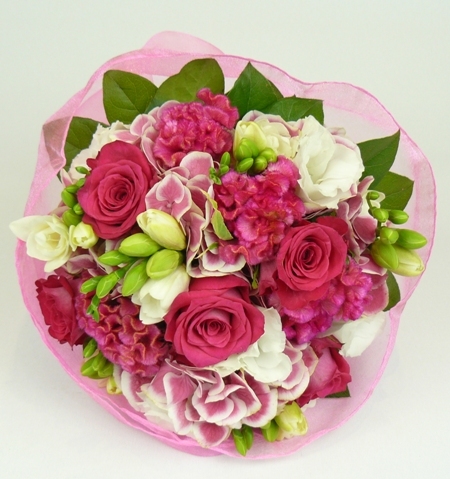 Pretty and popular posy in hot pinks and white flowers. The flowers may differ to picture subject to seasonal availability. Your PickMe posy is wrapped in lush organza and cradled in white tissue inside our signature pickMe carry bag. We then complete your order with a gift card and trimmed with ribbon making the perfect gift delivery!